RUNNING HARD: Ahmadou Diallo, Abiodun Bello and Bola Omotosho are among the candidates competing for the City Council seat in the Bronx’ District 16. 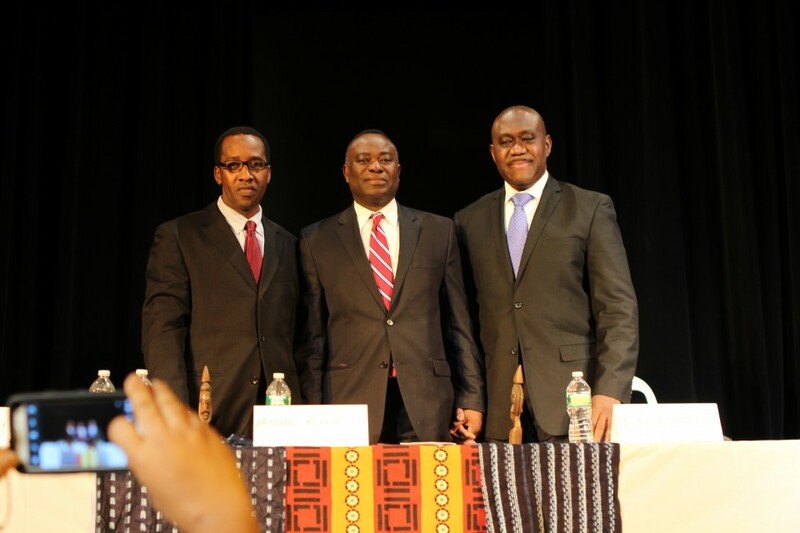 Three African-born men and a daughter of African immigrants are vying to represent the Bronx on the City Council, as the borough’s burgeoning West African community tries to gain a political foothold. Historically known as the “black seat,” District 16 is currently held by Councilwoman Helen Foster, who is prevented by term limits from running again. About 50 people, including imams, pastors, and residents, turned out at Bronx Community College to hear the candidates’ positions. The fourth candidate, Naaimat Muhammed, 32, an aide in Foster’s office whose parents are from Ghana and Togo, was unable to attend. “It shows that we’re moving up,” she said. The Bronx is home to about half of the city’s West African immigrants. In District 16, which includes Morrisania, Highbridge and Melrose, there were about 7,500 West Africans, according to the 2010 census. He says the candidates will have a formidable opponent in Assemblywoman Vanessa Gibson, an African-American woman, who announced her candidacy for Foster’s seat. “If we are not involved in politics, we can’t make a difference,” said Diallo, who is related by marriage to Amadou Diallo, the unarmed immigrant who was fatally shot by police in 1999. This entry was posted on Wednesday, March 6th, 2013 at 4:34 pm. It is filed under Print. You can follow any responses to this entry through the RSS 2.0 feed.